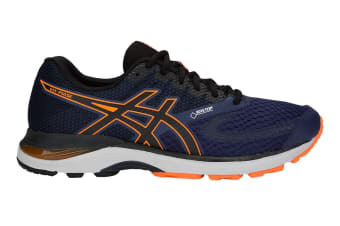 Feel supported in every stride with Gel-Pulse 10 G-TXs superb cushioning and Guidance Trusstic System for increased stability. Hit the track with softer landings thanks to rearfoot Gel cushioning, bouncing back smoothly with Super SpEVA midsole. Your feet will thank you for the G-TX waterproof mesh upper, letting your foot breathe easier without compromising on dryness and durability.